The Museums, Archive and Libraries Council was asked by government to find ways of encouraging people at a grass roots level to respond creatively to the 2012 London Olympics. The MLA asked us to fire the starting pistol by producing a booklet for distribution through local libraries for both staff and local communities. 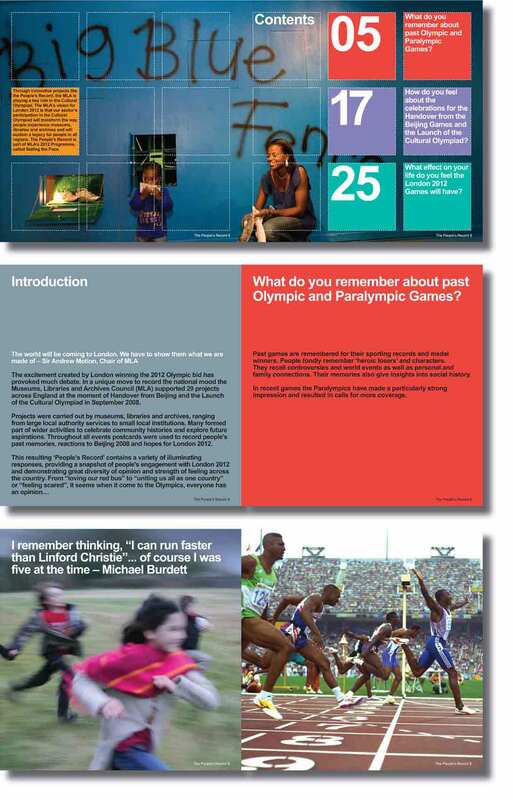 It had to document peoples memories of previous olympics, their hopes for London 2012 and to act as a catalyst to spark creativity. As part of the project Ideology commissioned and art directed photography of live events in local libraries around London, photo researched images from the past and choose quotes from audience members. The publication juxtaposed contrasting pictures of everyday life with those of elite athletes and used direct quotes from real people. Tony and Ideology have worked on a number of projects for me at various organisations including Asthma UK and the Museums, Libraries and Archives Council (MLA). As well as being lovely people they are very professional and great at taking a brief and turning it into something exciting. 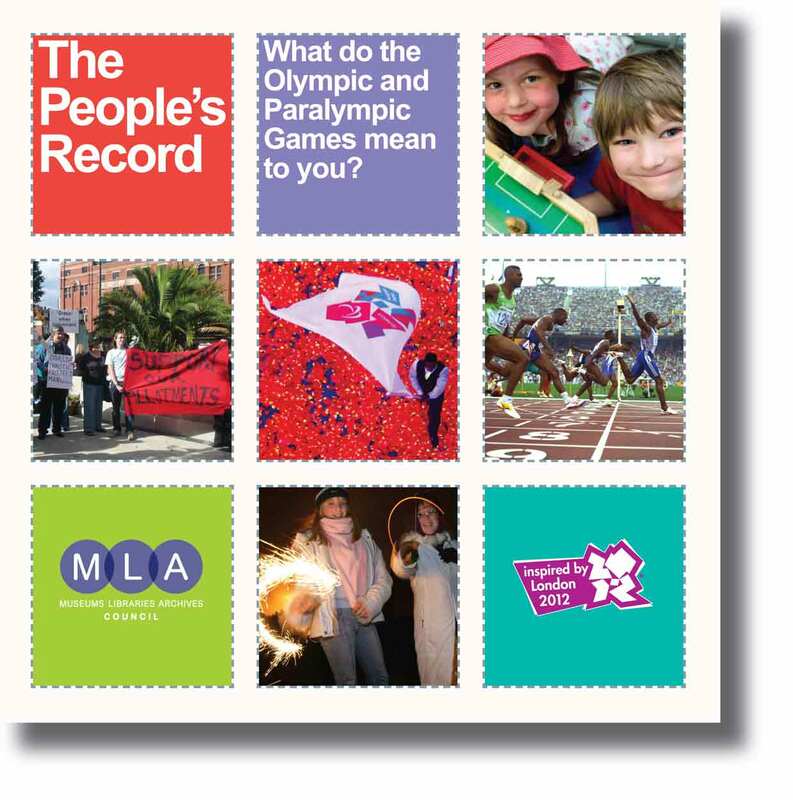 Their work on one of our Cultural Olympiad publications at MLA, 'The People's Record' was particularly innovative. I'd highly recommend them.